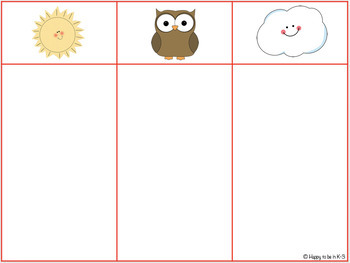 This activity is designed to target phonemic awareness. Phonemic awareness is the ability to distinguish between individual sounds in a word. 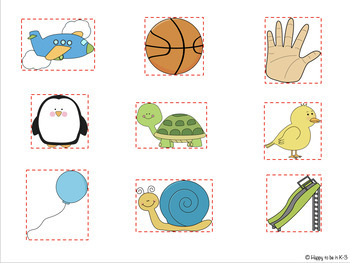 This activity focuses on phonemic isolation. Students will practice identifying the ending sounds in words. 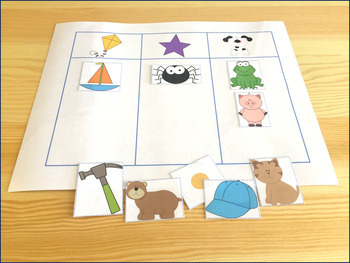 Letters and words are not used in this activity because once letters and words are used, it is no longer considered a phonemic awareness activity. 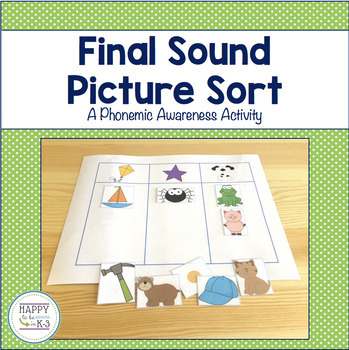 Phonemic awareness activities should focus solely on sounds, or phonemes. Two game mats and two sets of game pieces are included in this purchase. This activity includes two different game mats and picture cards to match. Students can work independently or with partners. Students will look at the pictures at the top of the game mat and determine the ending sound. For example, the ending sound in kite is /t/. Students will then find picture cards that have the same ending sound - hat, boat, cat. They will place the pictures in the appropriate column, according to ending sound. Thank you for your interest in my product! Please let me know if you have any questions. Enjoy and don't forget to leave feedback!